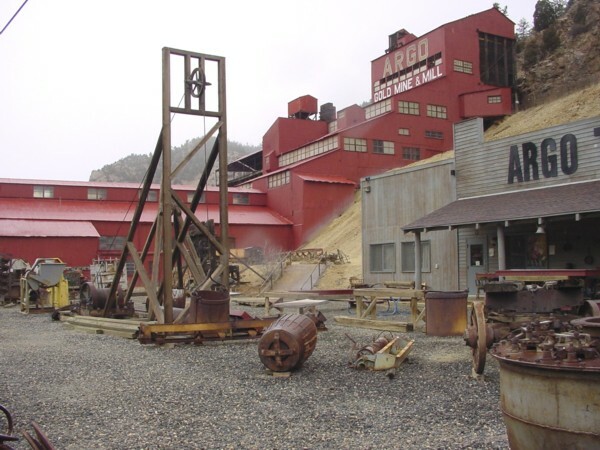 The Argo Gold Mine and Mill is a former mining and milling property consisting of a gold mine and gold mill in Idaho Springs, Colorado, built at the entrance of the Argo Tunnel. 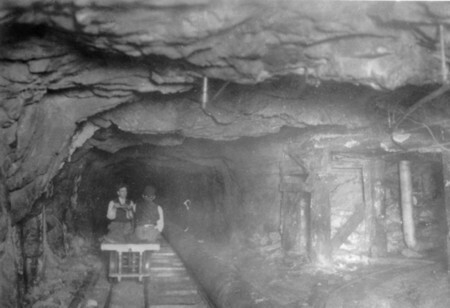 The tunnel was built between 1893 and 1910 to drain the gold mines in Virginia Canyon, Gilpin Gulch, Russell Gulch, Quartz Hill, Nevadaville, and Central City and allow easier ore removal. The mill was built at the entrance of the tunnel to process ore from the many mines drained by the tunnel. The property had been closed from 1943 until 1976, when it was purchased by James N. Maxwell. He wanted to preserve an example of the Colorado gold rush mines. 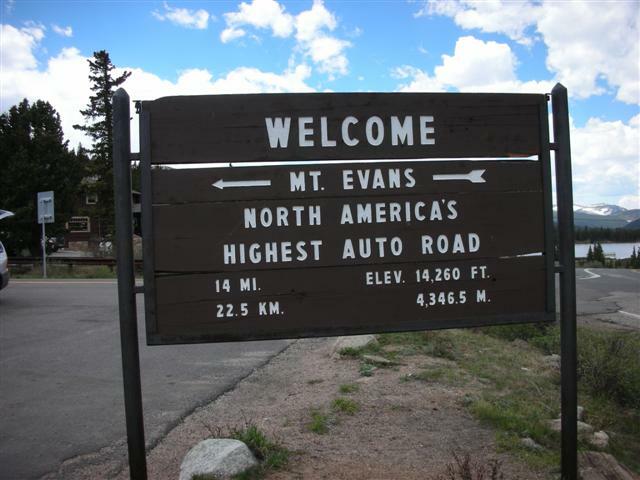 It was added to the National Register of Historic Places in January 1978. In 1893 construction of the Argo Tunnel Began. It would be 17 years before it would reach Central City, over 4.5 miles away. The tunnel would provide water drainage, ventilation and economical transportation of the gold bearing ore from the many mines it would intersect along the way. The Argo Mill was constructed to process the gold bearing ore from these mines. When completed, the Argo would be the largest mill of its type in the world. The mill processed over 100 million dollars of gold ore at the old time prices of $18.00 to $35.00 per ounce and stands today as a memorial to the hard rock miners of the day when GOLD WAS KING! is educational and fun for all ages! Call (303)567-2421 to confirm we are open. The need for the Argo Tunnel and the Argo Mill began on a cold day in January, 1859 when George A. Jackson made the first major discovery of gold in Colorado at the confluence of what is today's Chicago Creek and Clear Creek here in Idaho Springs. The great Rocky Mountain goldrush had begun and almost overnight 50,000 men poured into Clear Creek Canyon, stretching from today's city of Golden, West to Silver Plume and North over Seaton Mountain to Central City. Many of these miners would be rewarded well: the diggin's around Idaho Springs yielded over one million seven hundred thousand dollars at $18.00 to $35.00 per ounce of gold! 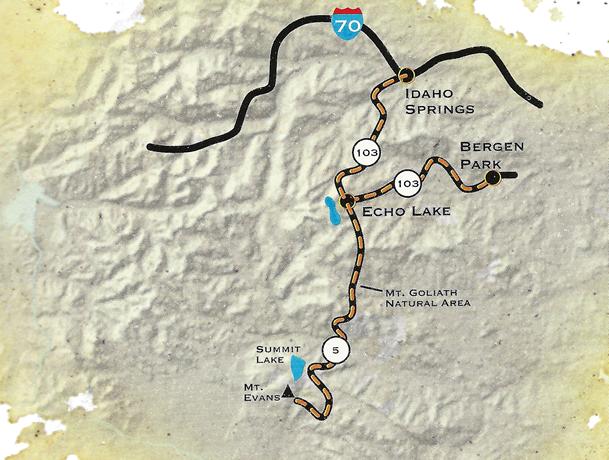 After the easy placer gold was taken from the streams, the miners followed the trail of gold to its source in the mountain and the "HARD ROCK" lode mining began. Over thirteen thousand mining claims were recorded in less than three years from 1859 to 1861. 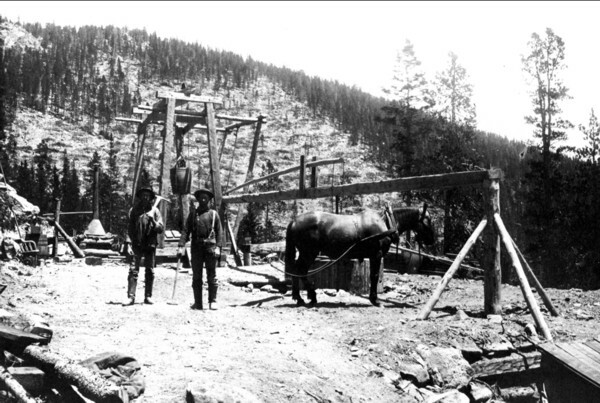 By 1902, there were over three hundred hard rock lode mines being worked in the Idaho Spring area. 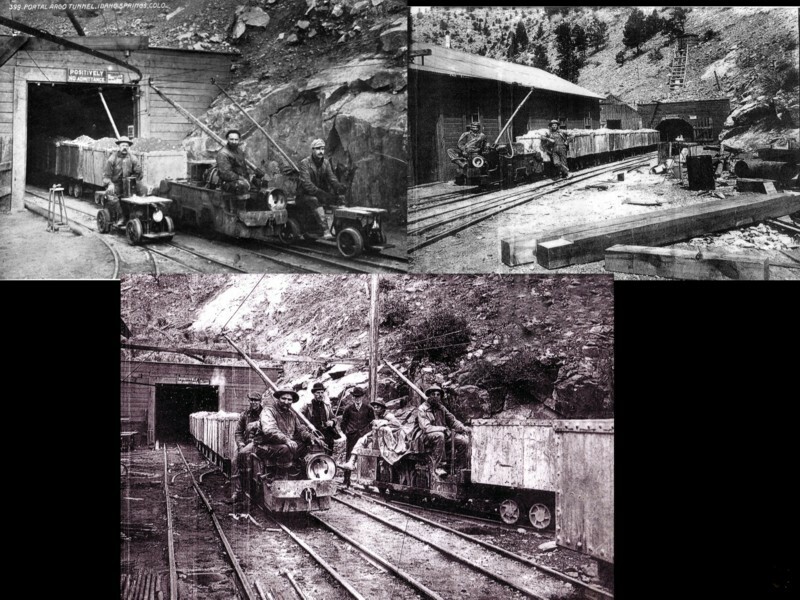 Many of the more successful mines were on Seaton Mountain between Idaho Springs and Central City. Over time, as the shafts got deeper and deeper, the miner's work became harder and harder. Imagine, if you can, raising the ore from depths of one thousand feet or more in an ore bucket containing one thousand pounds or more---and if that was not difficult enough, the deeper the mine shafts would go, the more water the miners would encounter. The pumps and other equipment used one hundred and fifty years ago was not efficient and it was rumored that some the the very richest mines may have to shut down because of flooding and difficulty in "raising" the gold-bearing ore. According to local historian Merle L. Sowell, the concept of digging a tunnel under these rich mines from Idaho Springs to Central City to drain these flooded mines and provide for economical transportation of the gold-bearing ore, was first proposed by Silas and Ralph Knowles. 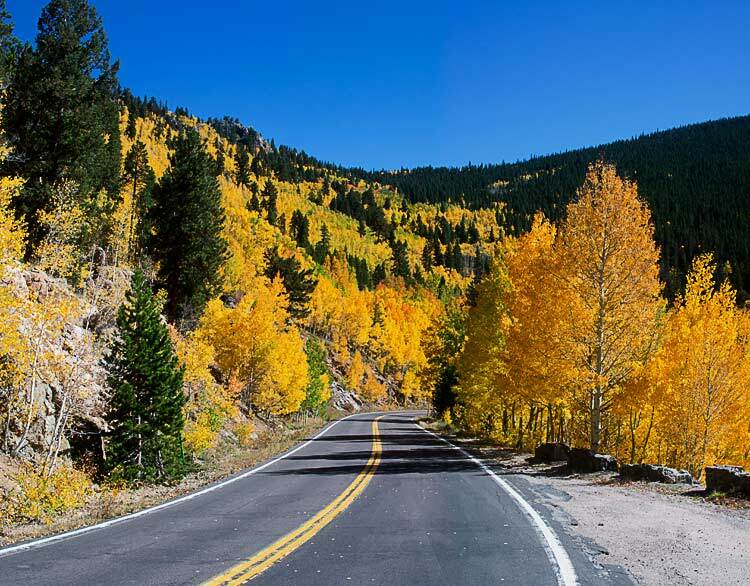 The idea was a natural one as Idaho Springs was about two thousand feet below Central City in elevation. The tunnel would be dug under Virginia Canyon, Gilpin Gulch, Russel Gulch, Quartz Hill, Nevadaville, and Central City. 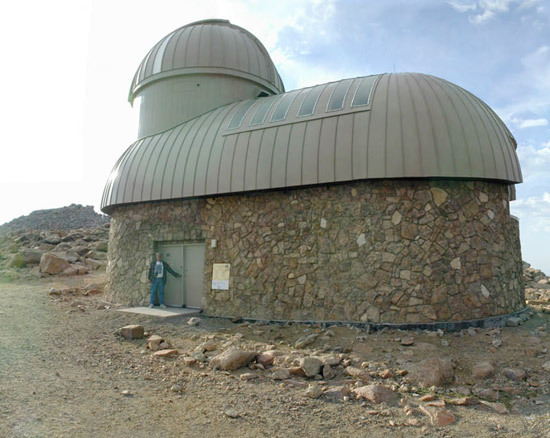 Quartz Hill was home of the Glory Hole, called the richest square mile on earth. The proposal was presented to Samuel Newhouse, who arrived in Leadville in 1879 dreaming as most other men had of striking it rich in Colorado. Newhouse formed a partnership in Leadville with Thomas Weir and John Montgomery and they acquired some holdings which proved to be moderately successful. Newhouse liked the idea and agreed to form a corporation to sell stock and raise the money needed for the project. There was a big celebration in Idaho Springs, and the tunnel was first named "The Newhouse Tunnel" in his honor but soon was changed to "THE ARGO TUNNEL". It would be the largest mining project in the world and when completed would be the longest tunnel in the world. The digging of the tunnel would begin in 1893 with hand drill and hammer, black powder was used for blasting. It was backbreaking work and there was plenty of it! Soon pneumatic drills would be developed, the early drills created so much dust they were called "Widow Makers". Sometime later the drills were modified with a hole in the center of the drill steel and bit to allow pressurized water to turn the dust into a slurry. Dynamite became available and the tunnel was getting deeper and deeper. When electricity finally came to Idaho Springs, the tunnel had lights and the mules that had been used to pull the ore cars were replaced with electric locomotives. The digging of the tunnel was getting faster and faster and the miners were setting new records for the amount of rock being blasted and removed. The progress of the tunnel had reached over one-half mile per year and was a record that stood for many years. The tunnel measures twelve feet in diameter for the first two and a half miles with double tracks and a drainage ditch in the center, the rest of the tunnel measures six feet in width. The total distance of the bore was 4.16 miles and the entire length of the tunnel has a .3 downhill grade to the portal to drain the water, which also provided an easy exit for the loaded ore cars. The tunnel ended near the Northwest corner of Central City, thirteen hundred feet below the surface, where a concrete shaft provided a "lift" to the outside world. The Argo Tunnel was completed in 1910. As projected by Samuel Newhouse, the long-term success of the tunnel would require a "state of the art" mill at the portal of the tunnel which would reduce costs of handling and transportation of the gold-bearing ore. R.E. Shimer incorporated the Argo Reduction and Ore Purchasing Company and then built one of the largest and most modern three hundred ton mills in the nation which was able to recover a higher percentage of values than older mills in the area. Electric trains would deliver four ton ore cars from the tunnel to the "tipple" which would lock onto three cars at a time, turn them upside down and dump them into fifty ton storage bins. An electric belt conveyor at the base of the storage bins would transfer the ore to the chain bucket elevator which in turn would raise the ore to the top of the mill where the big stamp mill pulverized the ore into a fine dust. Modern "state of the art" methods were used to extract the precious metals, changing the P.H. of the ore slurry and additions of ammonium salts improved recovery. There was amalgamation, flotation, a cyanide process and gravity systems such as spirals and wilfrey (shaker) tables. It was on January 19, 1943, about quitting time, that a small crew of four miners worked to set off the last charge of the day. Conditions were miserable, the Kansas Shaft had quit pumping water anticipating that the Argo crew would find the shaft and drain it. The whole Nevadaville area was flooded with water twelve hundred feet deep; many of the flooded mines above the Argo were leaking into the tunnel; it was wet and hard to set off the charges. As the miners would drill holes for dynamite charges, the water would squirt out the seams under high pressure, it was later estimated the water pressure was over five hundred pounds per square inch. Bill Bennett was bringing out a train of loaded ore cars, he was three hundred feet from the portal when the electricity went off and as the train rumbled to a stop he heard a loud roar. Guessing what had happened he started running, when he got to the portal he was walking and swimming in waist-deep water. By the time he got to the shop to sound the alarm, the water was at the top of the tunnel and blasted out for several hours. The bodies of the four miners were recovered and are buried in the Idaho Springs cemetery. Did the Argo accomplish its objectives? It is unlikely that many of the mines could have operated for so many years if they had not had their workings drained of water and then been provided inexpensive ore transportation to a modern mill at the portal to the tunnel. The tunnel, the mill and the mines provided employment for fifty years to thousands of miners. 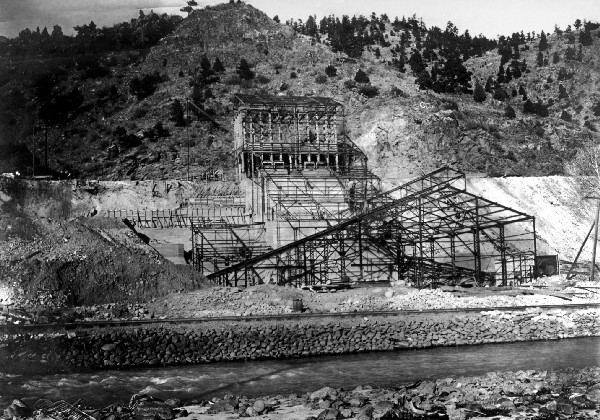 Over two hundred million dollars of rich ore was sent directly to the smelters in Denver; the Argo Mill recovered over one hundred million dollars of gold values and these dollars were when gold was $18.00 to $35.00 per ounce. With the closing of the tunnel, the Argo Mill ceased operations as well and sat abandoned for many years. In February 1976 the property was purchased by James N. Maxwell to preserve the quickly disappearing history of mining in Colorado and Clear Creek County. The five-story mill was renovated and opened to the public as a historic and educational tour. Most of the equipment used for processing the gold ore remains in place. The bottom level of the mill serves as a museum displaying mining and milling artifacts, old payroll records, milling receipts, and old photographs. Each year, the "Mighty Argo" tours guests from over forty states and over twenty foreign countries. The Argo Mill is a favorite educational and entertaining outing for many public schools who bring students from all grade levels including, engineering students from the Colorado School of Mines. The Argo Mill has been featured in many national publications and has been the set for several film productions. Because of the historic significance and impact that the Argo Tunnel and Mill played in local and state mining history, it was placed on the National Historic Register by the Department of the Interior in 1977. 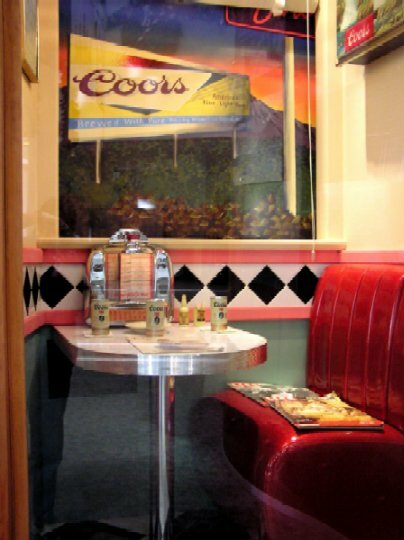 2008 Update: We recently got word from the source that Coors is now officially MillerCoors, and the brewery tours are now self-guided, audio tours lasting 35 minutes. After a day of rock climbing at North Table Mountain (a.k.a. 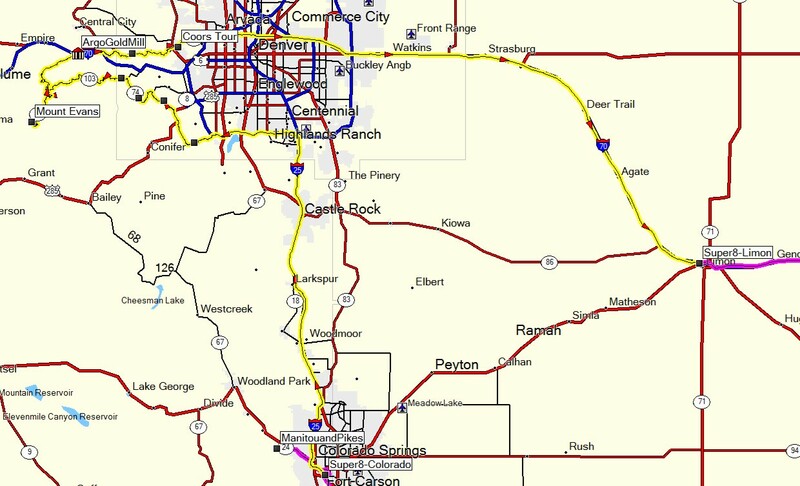 “Golden Cliffs”), riding a bike along Golden’s bike paths, hiking the trails of White Ranch Park, or just driving around to places in metro-Denver, how about a cold one (or three)? Take a tour at one of Colorado’s best-known companies, Coors, and enjoy up to 3 free samples of their variety of beer products (if you are over 21), or complimentary soft drinks if you are younger or prefer something non-alcoholic. More than 250,000 people take this popular free tour each year. Participation is on a first-come, first-served basis; no reservations are taken. Your audio tour device will guide you through the main steps of the brewing process at the world’s largest brewery at a single site. Coors beer is brewed, packaged, and distributed cold. For many years, this dedication to keeping the beer cold at all times drastically limited the distribution region, since refrigerated transportation was nearly non-existent in the early days (the company has been around since 1873! 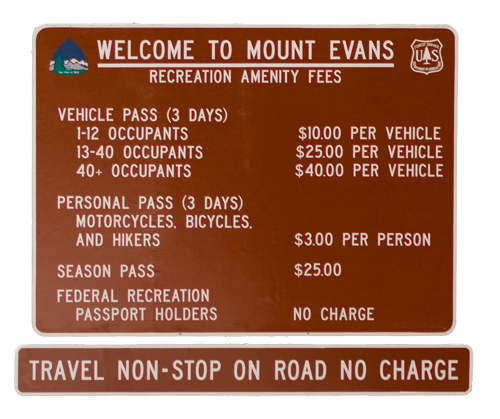 ), or too expensive to use until recently. Many college students who grew up in Colorado but attended an out-of-state University would bootleg cases of Coors beer when they returned to school after a break, and their special cargo would be in huge demand among their peers on campus! Coors was also the first company to produce an all-aluminum, two-piece beverage can in 1959. Beer had been available in cans since 1935, but the cans were made of steel, which left a metallic taste and created a large disposal problem. The use of aluminum cans made it possible for Coors to no longer pasteurize its beer, which requires heat (and we’ve already learned that they like keeping everything cold). Coors uses a sterile fill process instead throughout their Golden facility. Another benefit of aluminum cans, of course, is that they can be recycled, and they don’t hurt as much as steel when you try to crush them on your forehead. 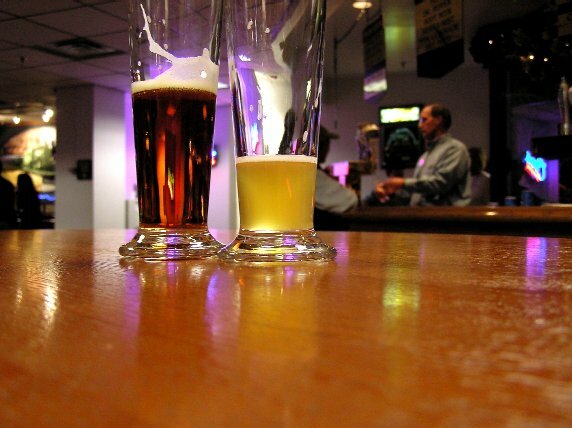 Prohibition – definitely not a good time for a beer company! But when Prohibition hit, the Coors family focused on their relatively small porcelain business, and it thrived, making everything from cooking utensils to scientific equipment. The brewing equipment began cranking out malted milk and a near-beer, and the Coors Brewing Company remained profitable during the “dry” years. The tour takes 35 minutes; allow additional time to enjoy your 3 beer samples, to browse the gift shop, and sober up before you drive.